Onn Monday 22nd March 2010 the well-known sculptor Peter Randall-Page (who lives on Dartmoor) visited the Leechwell Garden at the invitation of the LGA Committee. 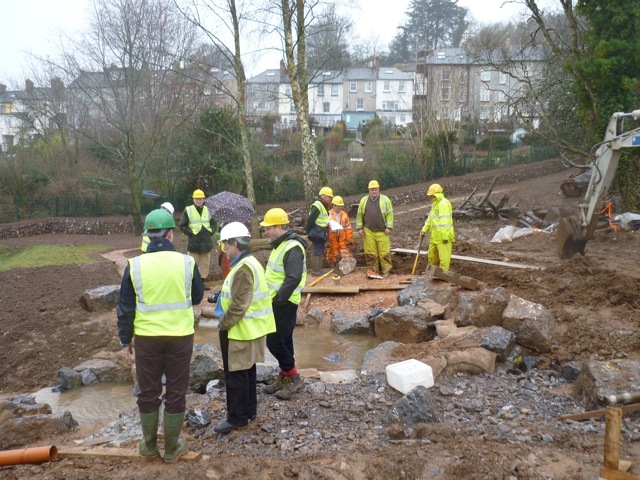 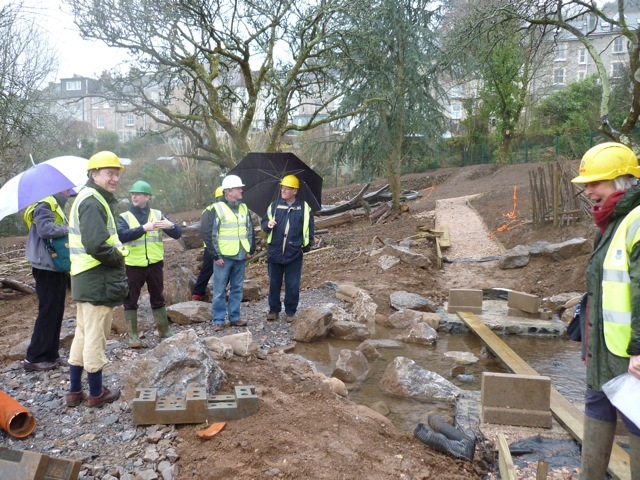 The pictures below show Peter in the garden with members of the committee along with Alex Whish of SHDC, Charlotte and Andrew Rathbone and the team from South West Highways who are implementing the infrastructure works. 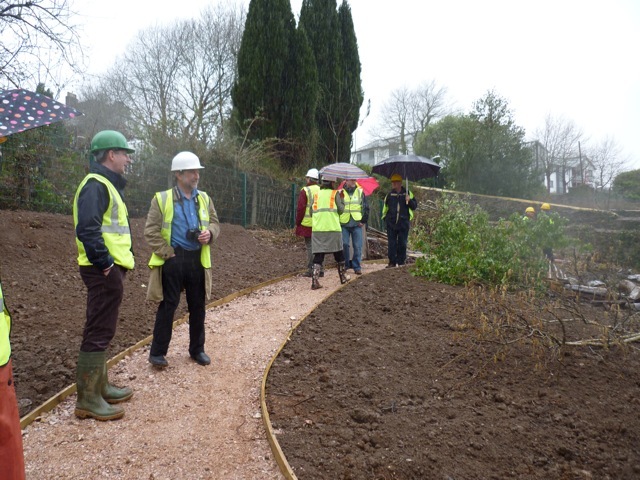 Despite the rain, Peter was very impressed with what he saw and was particularly interested in the cascades and pools - the final piece of work to get water flowing through the garden as planned was completed earlier that day! As usual, click on any of the pictures for a larger view. Aerial photos taken later that day are to be found at the bottom of this page. 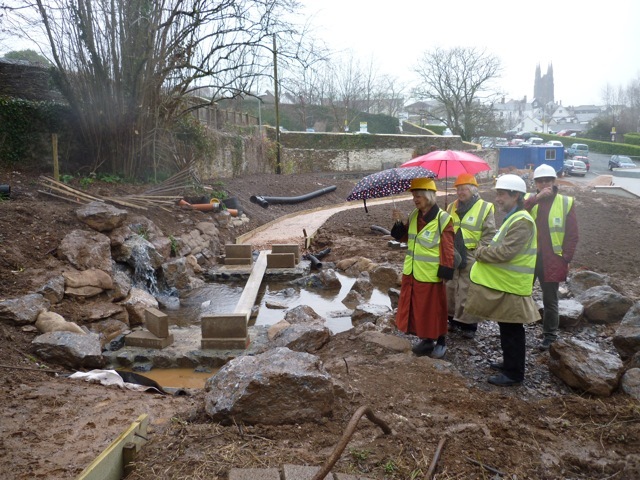 Photos by Charlotte Rathbone, the landscape architect for the garden. For more information about Peter, see this Wikipedia page or his own website.